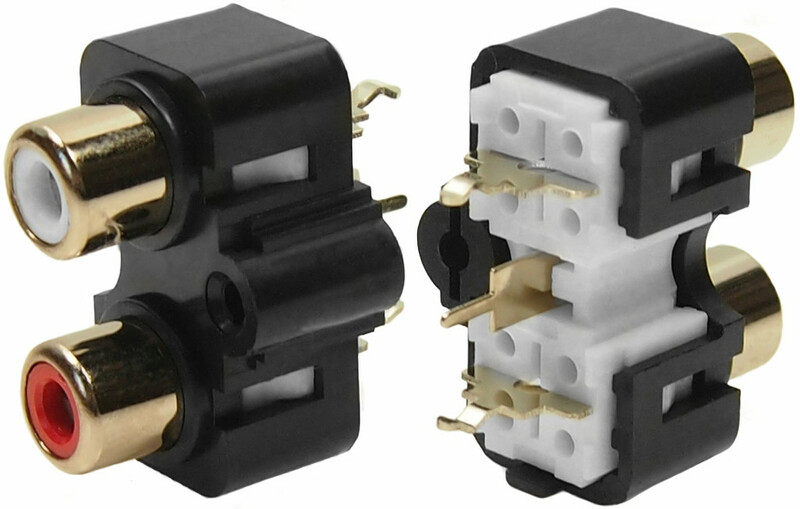 The Cliff™ range of single, dual, quad and multiple PCB mounting phono RCA cinch connectors provide a low cost and reliable connection system. They are intended for use in many types of consumer and professional audio equipment. 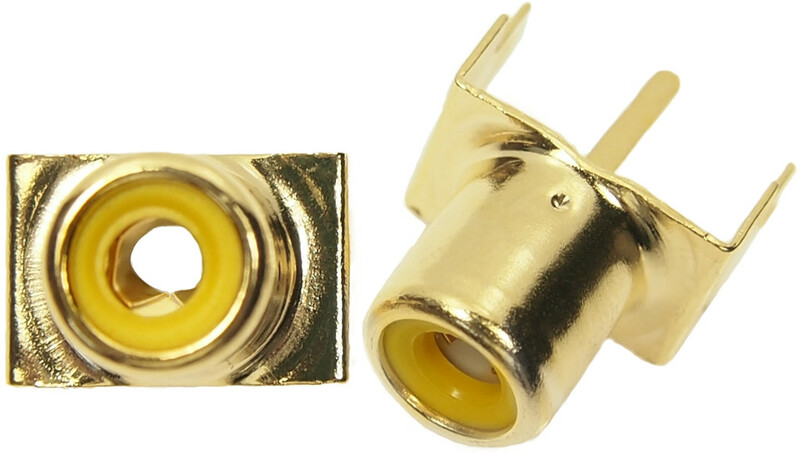 Metal parts are available nickel plated (standard) or with a gold finish. There is a choice of coloured colored inserts for identification purposes. Models are available for both vertical and horizontal PCB mounting. 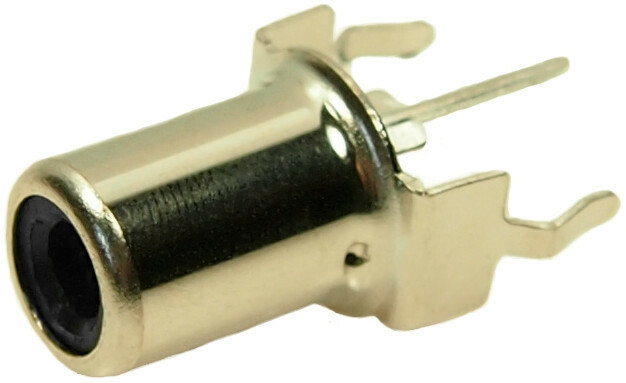 Snap-in legs facilitate assembly and wave soldering. Some versions can be supplied with a prefitted EMI / RFI screen if required. Contact Resistance: 30mΩ max. @ AC 100mA max. 1kHz. Dielectric Withstand: 500Vac @ 60 Hz for 1 minute. 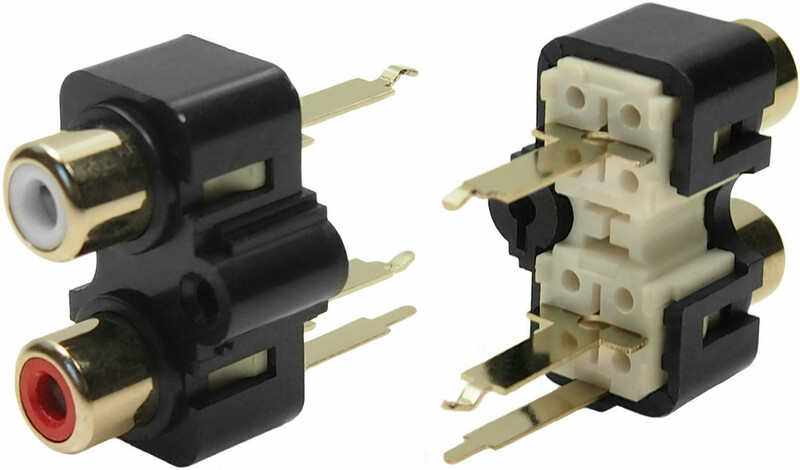 Insulation Resistance: <100mΩ min. 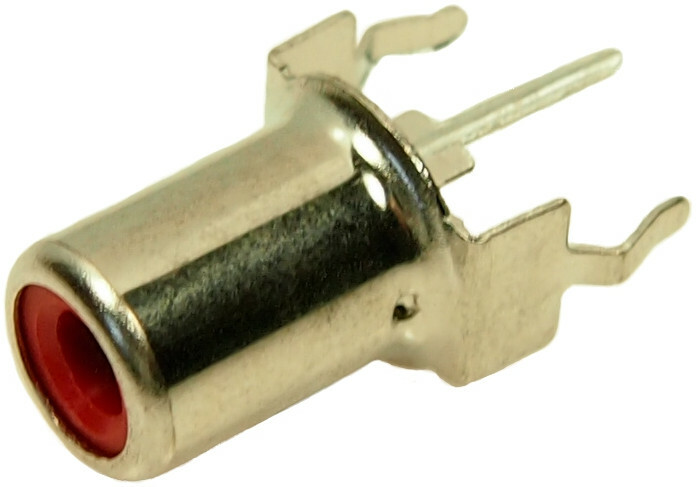 @ 500 V DC. Insertion Life (Minimum): >4000 insertions and removals. Front Metal Shield: Copper alloy. Plating: Choice of nickel silver or gold. RCA phono connectors PCB mounting (opens in a new window). 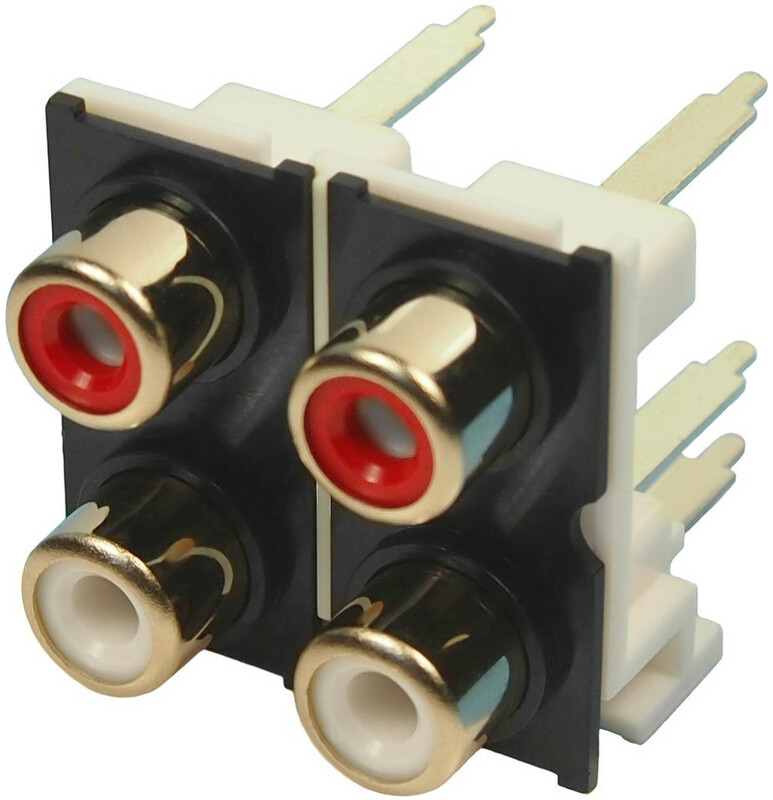 RCA phono connectors PCB mounting (traditional) (opens in a new window). 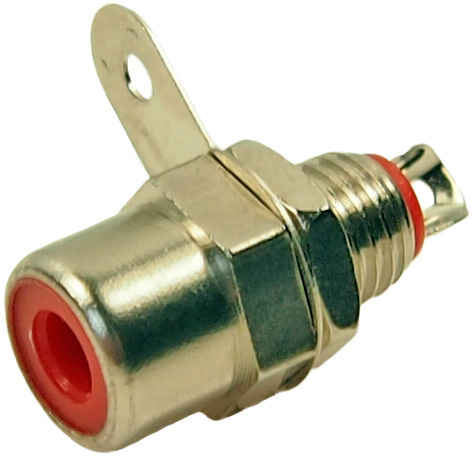 PHS-1B Red (FC68369) PCB mounting, single chassis RCA phono connector. 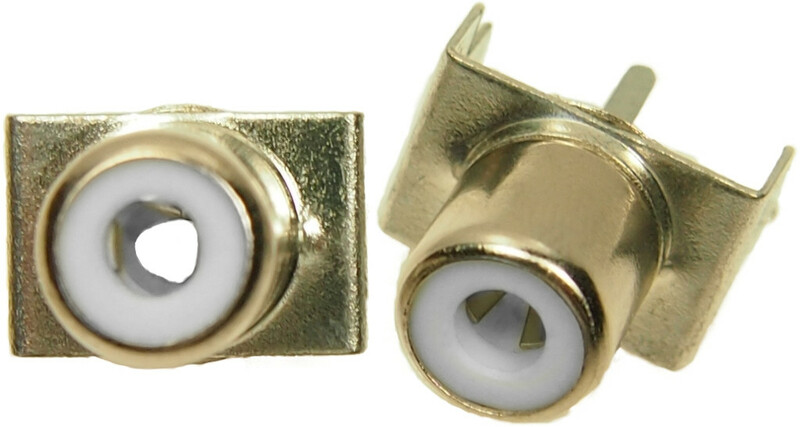 PHS-2B (FC68371) PCB mounting RCA phono connector without break contact. PHS-4B (FC68375) Snap in PCB mounting RCA phono connector. Only available with black insert. 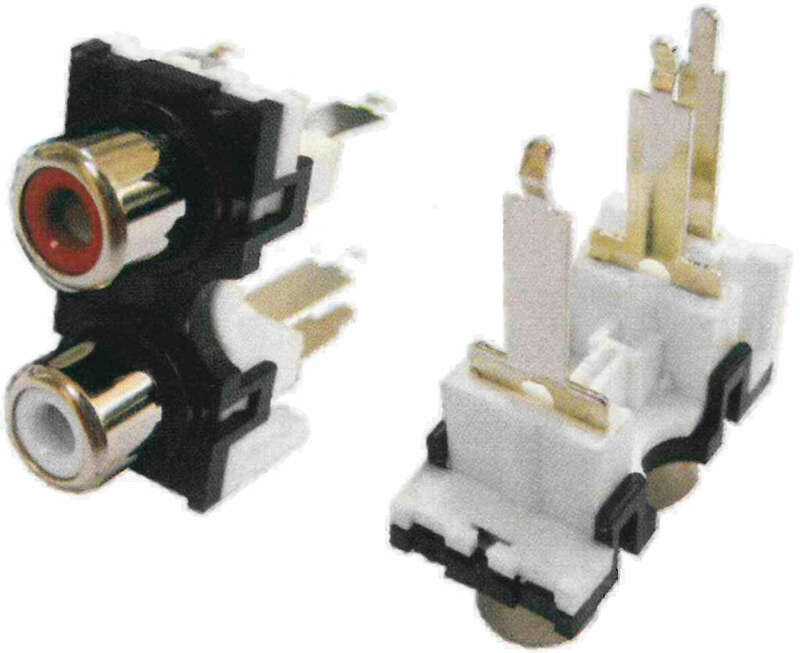 PHS-6B (FC68391) Horizontal single PC phono socket. Red only. PHS-7A Vertical PCB mounting RCA phono connector. Several different coloured colored inserts available. Tin or gold plated finish. PHS-7C Vertical PCB mounting RCA phono connector. Several different coloured colored inserts available. Tin or gold plated finish. 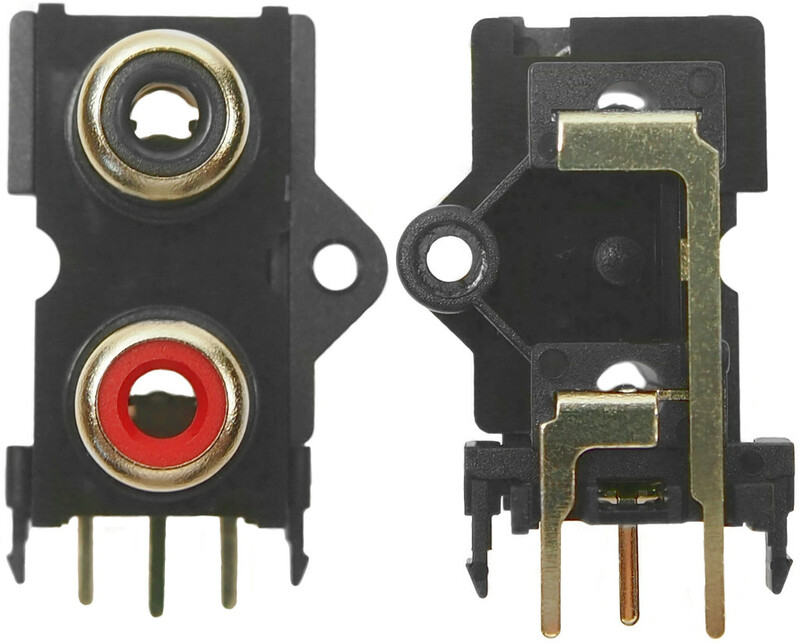 PHS-10A (FC684045) PCB mounting dual RCA phono connector. Several different coloured colored inserts available. Nickel silver or gold plated finish. 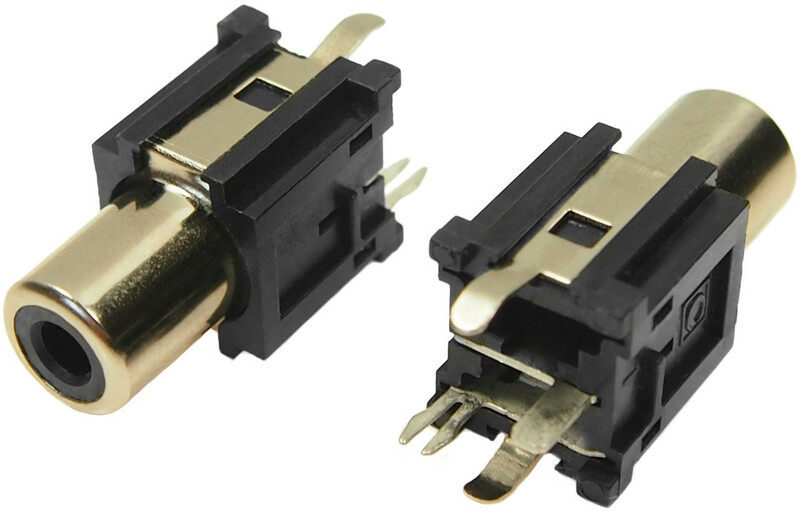 PHS-10B PCB mounting dual RCA phono connector. Several different coloured colored inserts available. Nickel silver or gold plated finish. 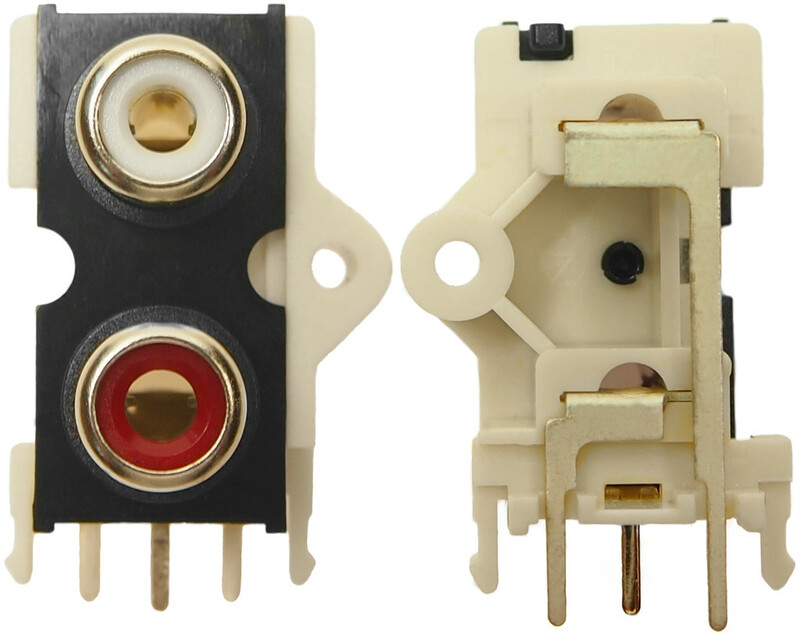 PHS-10D (FC684055) PCB mounting dual RCA phono connector. Several different coloured colored inserts available. Nickel silver or gold plated finish. PHS-10V (FW6190) PCB mounting, dual, vertical, RCA phono connector. Red and white coloured colored inserts. Nickel silver plated finish. PHS-10VG (FW6192) PCB mounting, dual, vertical, RCA phono connector. Red and white coloured colored inserts. Gold plated finish. 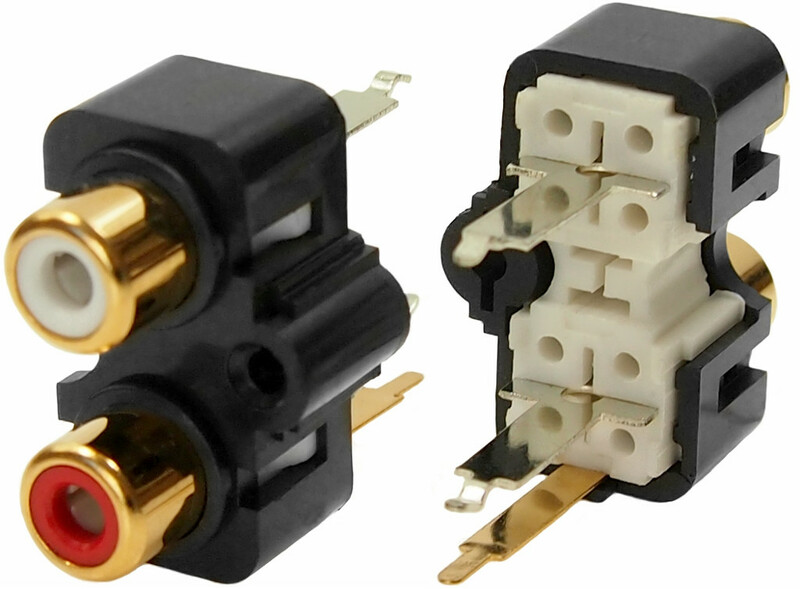 PHS-10VS (FW6195) PCB mounting, dual, vertical, RCA phono connector. Red and white coloured colored inserts. Nickel silver plated finish. Short legs and PCB layout. PHS-12D (FC684056) Vertical PCB mounting quad RCA phono connector. Nickel silver or gold plated finish. PHS-16B (FC684070) PCB mounting six-way RCA phono connector. Several different coloured colored inserts available. Nickel silver or gold plated finish. PHS-16C (various) PCB mounting six-way RCA phono connector. Several different coloured colored inserts available. Nickel silver or gold plated finish. PHS-19A (various) PCB mounting nine-way RCA phono connector. Several different coloured colored inserts available. Nickel silver or gold plated finish.